Mr. Christopher joined ARM Energy in May 2015, and is responsible for all financial and capital markets functions for the company. He brings to ARM Energy more than 17 years of energy finance experience. 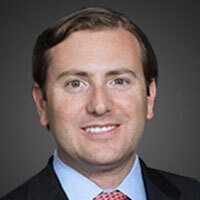 Prior to joining ARM Energy, Mr. Christopher spent nearly 13 years at ArcLight Capital Partners, an energy-focused private equity firm, where he originated and structured transactions in the midstream, power, and upstream sectors. Mr. Christopher began his career in Citigroup’s Global Energy and Power Group, where he provided M&A and capital markets advice to public and private energy companies. Mr. Christopher earned a Bachelor of Science in Commerce from the University of Virginia.